At Lincraft, their aim is to inspire and nothing is more rewarding than creating something with your own hands. Once the love of craft starts, it can be difficult to stop! 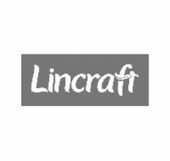 Lincraft stock over 10,000 products online including the latest fabrics, yarns, crafts, haberdashery and home furnishing products for hobbyists & DIY decorators.